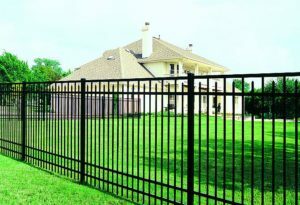 How to choose the right aluminum fencing for your home in Broward County? Aluminum fences are a popular choice of people when they wish to add fences in their homes. If you are planning to fence your own yard, you would want to consider the right style that you would like your fence to look like. Styles for these fences come in varieties so you have a lot of options to choose from. This makes it imperative for you to know the available options in the market. This would be helpful for you to make smart choices. Here are the most common types of aluminum fences that can be utilized for any types of homes. 1. Pool Safety Fence – The type of aluminum fence made to ensure safety for pools is intended for practicality. However, it will surely add to the beauty of your pool. Most importantly, it will protect your kids from coming to pool unattended. 2. Picket Fences – There are a lot of types of picket fences that you consider. You would want to take some time to check them out for yourself. These types include pointed pickets, staggered picket points, smooth edged and evenly placed points. 3. Industrial grade aluminum – This type of fence is a good choice as this guarantees the durability of your fence. Fences made from industrial grade aluminum can be designed to perfectly complement your home. Furthermore, when you have chosen the type of fence you prefer, you would want to consider also the quality of that chosen fence. These are made to offer various advantages, one of which is durability. These fences are designed to withstand the test of time and climate. These are durable enough that you would not be worrying about frequent replacements. They are definitely a smart pick. Aluminum fencing will not demand you to keep doing things like painting or replacing parts. If you want fences that will not require you too much maintenance, aluminum fences are just right for you. In fact, there are many manufacturers who offer these fences with maintenance-free features. No matter what type or style of home you have, it will be easy for you to find the perfect style of aluminum fences for you. These can even be availed while you want them customized. This is intended to maximize customer experience and satisfaction. With this feature, you can have aluminum fences that are perfectly matched to the style of your house. Moreover, you can also choose the right colors of these fences to blend with the colors of your house. Your purchase of these is obviously for both for protection and beauty. Contact us on (954) 369-5506 for a free survey and quote. You can also email us: info@browardcountyfence.com or view our website at https://browardcountyfence.com.